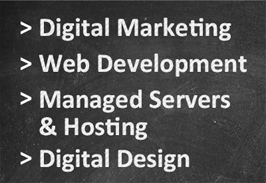 An American company created in July of 1995 that specialises in digital commerce and Cloud Computing services. Amazon started as an online bookstore and quickly expanded its offer of products. Amazon became a publicly traded company in May of 1997. Amazon is the largest retail company in the United States and one of the most popular websites for Internet shopping. Formerly known as Ask Jeeves, Ask is the search engine of InterActive Corporation, an American company that commercialises different products and services related to the Internet. Black Hat SEO is the name given to dishonest SEO techniques that ignore the different rules set by search engines such as Google, Bing, Yahoo Search!... Amongst these Black Hat SEO techniques we can find Cloaking, Spinning or Keyword Stuffing. Practising Black Hat SEO can result in being penalised by search engines. Search engines can impose sanctions that range from websites losing their ranking gradually to completely disappearing from the search engine in question. A group of data that belongs to the same owner and stored in a systematic way in order to facilitate being looked up or used in the most optimal manner desired. Formerly known as Live Search, Windows Live Search and MSN Search, Bing is Microsoft's search engine. Microsoft is an American company that sells different products and services related with software. In the context of email marketing a black list refers to databases that store the IP addresses of spammers or those who conduct unsavoury email practices. ISPs constantly check black lists which is why we must make sure our IP address is never included in one. Two of the most popular black lists are SpamCop and Spam Haus. Bounces in the context of email marketing are those emails that for different reasons don't arrive at their destination. The reasons can include the person's inbox being full, having a closed email account or having one that no longer exists. Broadcast Hosting is the software we use to send out successful email marketing campaigns for our clients. It's considered to be the best by a multitude of email marketing experts. A CTA is any element or combination of elements (text, colours, forms, buttons, animations...) which help a user carry out a specific action on a web page. For example, clicking on a large "Sign up!" button below a newsletter form. The click rate is an indicator which tells us the number of users that clicked on a link in our email campaign (after opening it). This indicator is much more reliable when it comes to evaluating if our email communications are meeting the needs and preferences of our newsletter subscribers. CTR refers to the percentage of clicks obtained by an advertising campaign. If we're referring to a banner campaign then the CTR is calculated by dividing the number of clicks by the number of impressions and then multiplying the result by 100. Cloaking is a Black Hat SEO technique that consists of showing different web pages to search engines (e.g. Google, Bing, Yahoo Search!...) and users. This means that for the same website search engines will index it under certain keywords while users may see something completely different. Cookies are files that a website sends through a server and which store information in the browsers of our website visitors. The purpose of cookies is to store information on the browsing habits of users in order to, for example, improve their experience when they browse our site. CPC is a digital publicity model where advertisers pay for each click an ad receives (for example a banner, a link, a YouTube advert). This is one of the most common ways webmasters make money, by displaying ads to their website visitors and getting paid for everyone who clicks on them. CPL is a digital publicity model based on the number of contacts an advertising campaign manages to collect. Advertisers pay for the information of each new contact/lead to whom the campaign was addressed. Generally this information is obtained through a contact form. CPM is digital publicity model where advertisers pay for every thousands impressions, i.e. for every thousand "views" of an ad (for example, a banner ad). This differs from CPC in that users don't actually have to click through. Email Deliverability is the name given to the techniques used in Email Marketing to make sure that your emails are not only sent but that they are also received by your recipients. Email deliverability aims to make sure that your emails don't end up in the spam or junk folder and that they don't end up being bounced. DNS is a technology used to associate website names to IP addresses. Without DNS we would have to type in the IP address for each website we wanted to visit, instead of the name which is much easier to remember. Drupal is a content management system launched in 2001 and is one of the most used ones in the world thanks to its features and benefits. It's open source, developed and written in the PHP programming language, the same as Joomla. With more than 1 billion users and translated to 70 languages (as of the time of writing), Facebook is the most popular and widespread social network in the world. Created by Mark Zuckerberg and founded together with Eduardo Saverin, Chris Hughes and Dustin Moskovitz, Facebook was launched in 2004 and started out as a contact website for Harvard students. Google is an American company that sells different Internet related products and services (software, electronic devices and other technologies). Its main product is the Google Search Engine which is the most used search engine in the UK and with which over 60% of world searches are made. 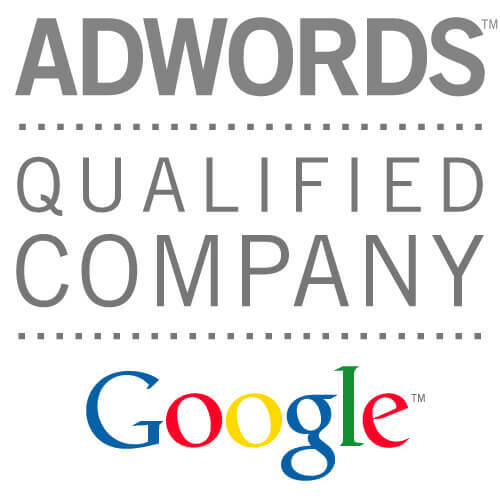 Google AdWords is an advertising programme offered by Google. Ads published through AdWords can appear under different formats (from links, banners to videos...) and there are several different advertising models to choose from, although CPC (Cost Per Click) is the most popular option. Ads receive the name of AdWords when they appear on Google's Results Page. If the ads appear on websites that belong to Google's publicity network, including YouTube, then they receive the name of AdSense. Google Analytics is a free website analytical software that allows companies to obtain information useful to increase their traffic, reach their marketing objectives and measure their return on investment for online publicity initiatives. Google Analytics not only allows you to measure sales and conversions, but also offers you information on how visitors use your website, how they reached it and what you can do to increase their visits. Pronounced and sometimes written as Google Plus (or even abbreviated to just G+), Google+ is the social network created by Google and launched in 2011 mainly to compete with Facebook. With more than 400 million users in the entire world (as of the time of writing) Google+ is the third largest social network in the world. Guest Blogging is an online marketing strategy linked closely with SEO. It consists of inviting bloggers to collaborate on a content platform that is related to the field they blog about. Bloggers contribute quality content in the form of posts and/or comments, which gains them fame and increased awareness for the platform and for themselves. Impressions in online media refers to the number of times an advert is shown. In technical terms, one impression in digital publicity is accounted for whenever a user (represented by a unique IP address) loads a web page that has the advert. Launched in October of 2010, Instagram is a social network centred on creating and sharing photos. As of the time of writing Instagram has more than 200 million users and was acquired by Facebook in April of 2012. An ISP is a business that offers an internet connection through different technologies (modem, ADSL, fiber optic). In the UK the biggest ISPs as of the time of writing this are BT, EE, Sky, TalkTalk, Updata and Virgin Media. An IP address is a numerical code that identifies each device which is connected to the internet and which can vary over time. All websites possess an IP address and in general a website IP address tends to be static, i.e. it's always the same one. Joomla is a content management system launched in 2005 and is another of the most used ones in the world thanks to its features and benefits. It's open source, developed and written in the PHP programming language, the same as Drupal. This Black Hat SEO technique consists of excessively repeating one or several keywords in the content or metadata of a web page. In the case of content, the increased keyword "density" lowers the quality of the page as it affects readability and makes the text appear artificial, without much sense or real value for the reader. KPI stands for "Key Performance Indicator" and they're vital when it comes to measuring the success of our digital marketing actions. For example, a KPI for an e-commerce platform would be (and should be) the number of transactions that have been done. In our case, one of the KPIs we pay most attention to is when a visitor comes to our website, fills out the contact form and sends it on to us. A landing page is a page that is specially designed and optimised to achieve the desired objectives (for example, a purchase, a newsletter subscriber...) after the users arrive through a specific marketing action. For example if someone sees a banner where we advertise a 50% discount on one of our services, the landing page which they'll arrive to after having click on said banner must reinforce the service and discount. In general, landing pages are strengthened when they have a strong call to action. Launched in May of 2003, LinkedIn is a social network orientated toward business and professional relationships. As of the time of writing LinkedIN has over 300 million users in more than 200 countries. A type of website design that automatically adjusts the size of each page to the browser width and screen resolution of the person viewing the site. Microsoft's own publicity program, with CPC being the most popular option. The open rate is an indicator which tells us the number of times an email was opened by someone who received our email in the context of an Email Marketing Campaign. Of course, opening an email and reading it (or clicking on it) are different things. PageRank is a measure (by Google) of the importance of a webpage. It’s an exponential scale between 0 and 10. Most pages have close to zero, some have 1, less 2 and so on up to 10 which virtually no pages have. At the time of writing in September 2013, Wikipedia and Facebook have PR=9 for example on their home pages. A link from a high Page Rank page is worth more than a link from a low Page Rank page. Links confer page rank from one page to another – the more links that are on a page, the less page rank that is conferred through each link – so ideally you’d want to have the only link going out of a page with very high page rank. ROI stands for "Return on Investment". ROI is a formula, expressed as a percentage that calculates the performance of our investment (in digital marketing, for example). Said formula is represented in the following way: ROI = (Profit - Initial investment)/Initial investment. For a practical example, if we invested 1000€ in a digital marketing campaign and through it obtained sales worth 10,000€ then our ROI would be 9%. Google, Bing, Yahoo search! and Ask (to name but a few of the most well-known search engines) are computer programs that find websites related to certain keywords. Search engines use "web crawlers", a special type of computer programme that goes from website to website, storing and classifying the information they find along the way. Their objective is to offer each user the most relevant content according to the keyword or phrase they're looking for. ScreenShooter is software developed exclusively by Profitable Web Projects to analyse and verify the design and functionalities of your website. With ScreenShooter you can make sure that each page on your website is viewed correctly in all browsers and devices that the public uses. 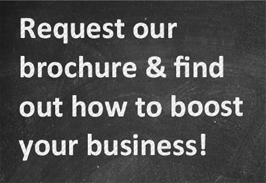 Our software will also make sure all the features on your website are working. Especially the ones that require complex interactions from users, such as e-commerce payments, web 2.0 interactions (posting, commenting, sharing), etc. White Hat SEO is the name given to ethical SEO techniques that follow the different rules set by search engines such as Google, Bing, Yahoo Search!... to better position a website on these platforms. The goal of White Hat SEO is for a website to be relevant to search engines and to offer users the most value for the searches they conduct. The opposite of White Hat SEO is Black Hat SEO. SERA stands for Search Engine Rankings Analyser and is a tool developed exclusively by Profitable Web Projects to analyse changes in search engine positioning metrics both numerically and graphically. SERA includes all sorts of custom metrics to help websites position themselves in the most intelligent and efficient way possible. SERP stands for Search Engine Results Page and refers to the results displayed when you search for something on Google, Yahoo or any of the other search engines. Not all search engines use the same algorithms which is why a keyword can offer different results in each one. This means your website might be in the top 10 results for a certain keyword on Google but not necessarily on Yahoo. SPAM refers to the mass sending of emails that are unsolicited and sent indiscriminately (to everyone). Also known as "junk mail". Practising SPAM can have a negative effective on the reputation of companies and reduce their ability to conduct effective email marketing campaigns. In Spain SPAM practices are banned by the Ley de Servicios de la Sociedad de la Información y de Comercio Electrónico (LSSICE), which was published in the BOE - Boletín Oficial del Estado on 12th July 2002. This Black Hat SEO technique consists of creating "recycled articles" one after another. The goal of Spinning is to "clone" existing content that is already indexed by search engines but with minor differences. With more than 600 million users, generating more than 400 million tweets a day and handling more than 1 million daily searches (as of the time of writing), Twitter is the second largest social networking site in the world. This microblogging platform was created by Jack Dorsey in 2006 and presents the peculiarity that you can only send text messages limited to 140 characters (the popularly known "tweets"). Concept that originates in the virus world and which refers to its ability to reproduce, multiply and expand. Applied to marketing and social networks, virality is how you measure the success of a piece of communication (a Twitter tweet, a photo, a Facebook comment, a video...) as it becomes reproduced, shared, commented and even remixed. Although there are certain techniques that favour virality, the two decisive factors are the context and the preferences of users. And of course, luck, which can always turn the unexpected or even the unwanted into something "viral". Virality is a desired and sought-after phenomenon because you can achieve spectacular results through it with a minimum investment. WordPress is a content management system launched in 2003 and is the most used one to date due to its numerous features and benefits. As of the time of writing 18% of all websites are created with this technology. Yahoo Search! is Yahoo's search engine. Yahoo is an American company that sells different Internet related products and services. Yahoo's publicity program is similar to Google Adwords, with CPC being the most popular option. YouTube is an online platform that lets you upload, share and watch videos. Created in February of 2005 it was bought by Google in October of 2006 and currently operates as one of its subsidiaries. As of the time of writing, YouTube is the most visited website of its category and one of the most used on the Internet: more than 1 billion users visit it every month.